Feed your baby at mealtime with this Dr. Brown's Glass Baby Bottle. 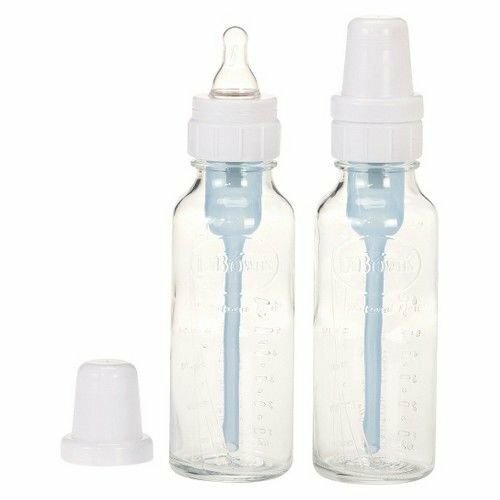 Each bottle in this pack of two holds up to 8 ounces and is comprised of glass and silicone. If you have any questions about this product by Dr. Brown's, contact us by completing and submitting the form below. If you are looking for a specif part number, please include it with your message.